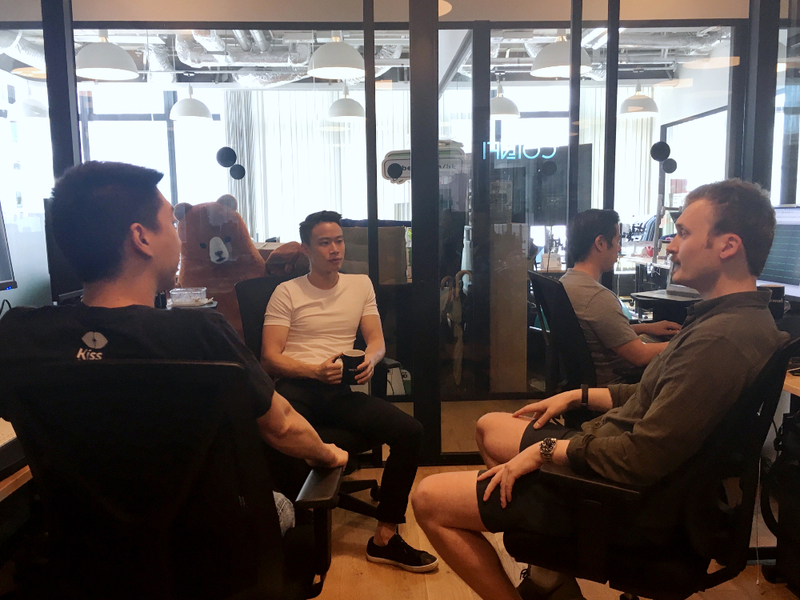 It’s been an exciting month at CoinFi, with both the in-person and remote teams growing rapidly, and product development accelerating. This past month we continued to focus on recruitment and developing the features scheduled for release this summer. We’re excited about the feature rollouts we have coming up, and by the time fall comes around, we expect that CoinFi will finally leave the beta stage behind. For those who aren’t aware, we have an updated roadmap available at the bottom of our about page. We’ll aim to update the roadmap on a monthly cadence. We’ve added TradingView charts to our Coin pages following multiple suggestions from the community. As always we appreciate all feedback and will incorporate suggestions into our development roadmap. As mentioned in last month’s update, we’re in the process of upgrading our data pipeline to improve data accuracy and consistency. We expect this to be rolled out in June. This will fix the majority of the bugs and data inaccuracy issues that have been reported. Progress on the newsfeed product is coming along. We’ve added several new features to the initial project scope that we think will be a huge value add to CoinFi platform users. We’re keeping these details internal right now, but you’ll be hearing about them shortly! For the past couple months, we’ve been ingesting crypto news across the universe of coins. We now have hundreds of thousands of pieces of news in our database and lots of theories that our growing data science team is excited to test. We’re working on an analysis piece with some of our preliminary findings that we expect to publish next week. 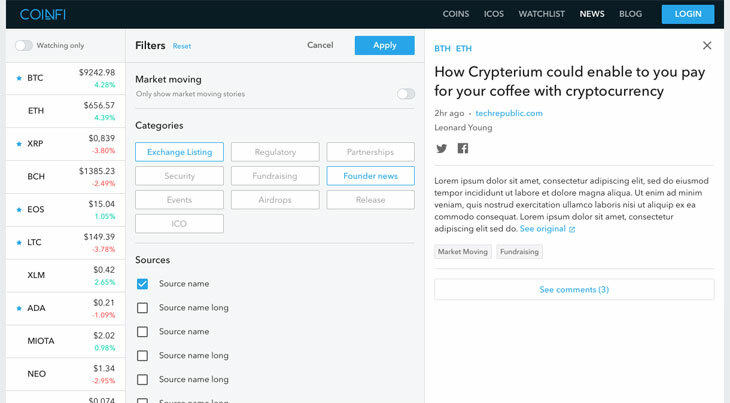 Here’s an early sneak peak at the CoinFi News UI. In past updates we’ve discussed some of the Advanced Token Metrics we’re working on, including a Token Retention Rate and Token Distribution Graph. 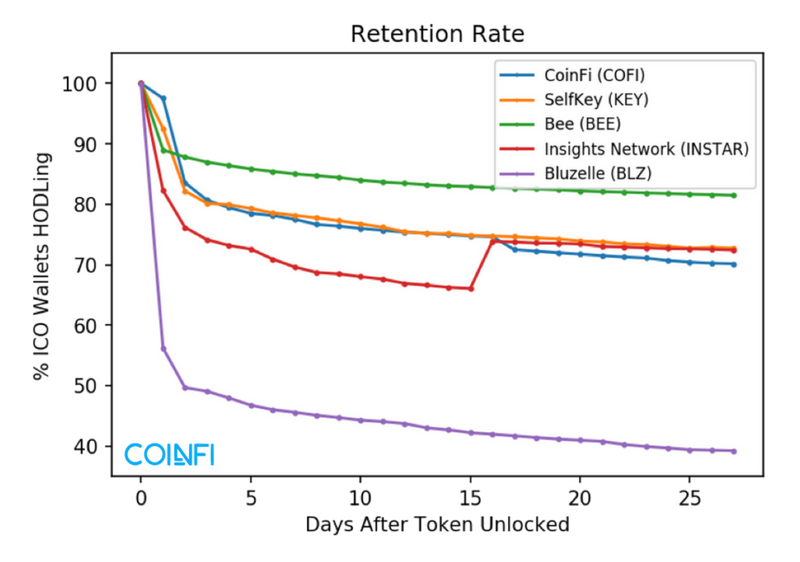 As a proof of concept, our chief data scientist Alex published a piece of analysis last month, showing the token retention rates of COFI and several other tokens that were launched around the same time as COFI. The next step is to start adding Advanced Token Metrics to individual token pages. Look for the first Advanced Token Metrics to appear on token pages this month! Current targeted release date for CoinFi screeners is in Q3. The aim is to release CoinFi screeners along with a revamp of the CoinFi homepage. Coin screeners also lay the groundwork for CoinFi trading signals, which according to April’s questionnaire, is the platform feature you’re most excited about! Trading signals will be implemented as alerts tied to individual screeners. So while screeners are used to narrow down the universe of coins, trading signals allow you to actively identify opportunities tied to the screener metrics you’re interested in. Once screeners are available, we’ll be gathering user data to identify the metrics that CoinFi users value most, and we’ll use this data to prioritize the roll out of each CoinFi trading signal. The vision for CoinFi’s media platform has always been to have a crowdsourced ecosystem where the best analysts in crypto are incentivized through the COFI token and the quality of the platform to share their research and ideas. This continues to be the end goal for the media side of the CoinFi platform. In the meantime, we want to set a new standard for research & analysis in the crypto space. Expect more in-house research & analysis coming from CoinFi this summer, starting with a fascinating article we just published looking at how you can use a new metric we’ve defined (token value to exchange volume) to quantitatively price exchange tokens like Binance coin (BNB), Huobi token (HT), and KuCoin shares (KCS). Last month, Alex Svanevik joined the CoinFi team full-time as our Chief Data Scientist. Prior to that Alex was working remotely for CoinFi in Barcelona. This month, Alex and his fiance officially moved from Spain to Hong Kong and we’re excited to have Alex at CoinFi’s headquarters. In addition, a full-time data engineer is officially onboarding with the team at the beginning of June. We have also added another full-time Full Stack Web Engineer to the team. Now with five full-time and one part-time engineers, as well as one full-time UX designer, our product/engineering team is shaping up nicely. We are still continuing to look for top talent to fill other openings. Check out our careers page if you or someone you know might be interested in joining the CoinFi team. We’d love to see your applications! With all the new team members joining CoinFi headquarters, we have reached maximum capacity in our current office. Today we’ll be moving into a bigger office within the same building in prep for the arrival of our new team members. 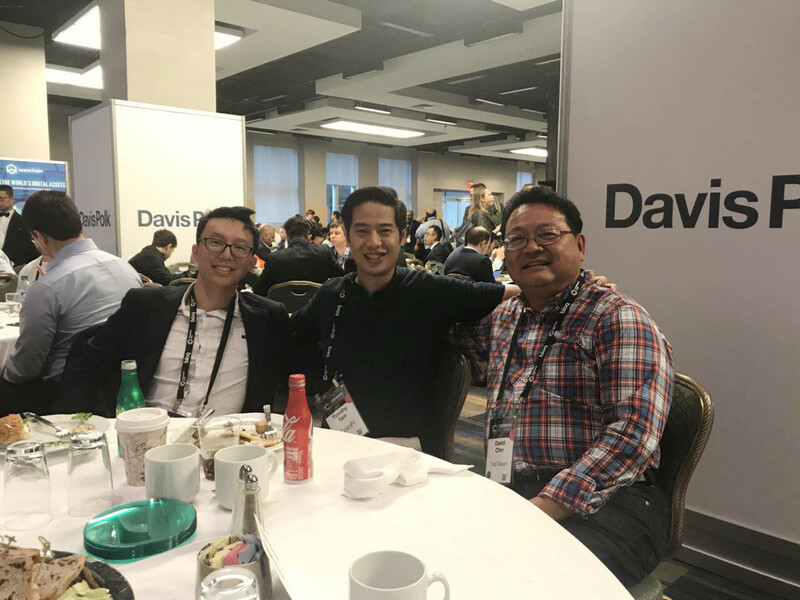 In May, our CEO Tim Tam flew to NYC to attend Consensus, the biggest blockchain conference in the world. Tim went there with one clear goal in mind – business development and finding potential collaborations. The crypto industry is booming. There were more than 8,000 people at Consensus this year. That’s 4X the number of attendees from last year. To register at the event, people had to wait three hours to get their badges! A lot more finance people are entering the space. This is a big change compared to a few years ago. Remember during the ICO when we said Wall Street was coming to crypto? It’s happening right now, whether you like it or not. ICOs are still hot. More and more VC funded companies are looking to do ICOs instead of a series A.
CoinFi is getting ready to expand to the Korean market. We’re working on introducing the CoinFi project to the Korean market. Stay tuned for more updates. The market will go up and down, but as always our focus is on the long term. Our aim is to deliver a platform that will be the first and final destination for crypto traders, and we expect to make a ton of progress towards that goal this summer. Your trust and support means the world to the CoinFi team. If you have any questions or suggestions, keep them coming on Telegram, Twitter, or via email. We read every single one of our messages (even if we can’t always reply) and we’ll do our best to address them.